Today I'm excited to share my reason for returning to Peru next month. At the kind invitation of Kurt, a co-founder of Rainforest Expeditions, I will be embarking on a 6-day journey into the Peruvian Amazon. Before arriving in South America, I always associated the Amazon rainforest with Brazil, however I quickly learned that it's accessible from almost every country on the continent. This will be my first experience visiting the Amazon. One month from today, on June 22, I will be flying East from Lima to Puerto Maldonado, before heading into the Tambopata National Reserve by boat. My time will be split between 2 of the 3 ecolodges run by Rainforest Expeditions in the region. These lodges are designed to have a minimum impact on the surrounding environment. They rely on kerosene lamps, and use a very limited amount of generator-produced electricity every night (we have to charge our camera batteries, of course). There's no hot water either. Internet access is briefly available each night, I'm told. I will attempt to send some tweets out during my stay, but for the most part, I'll be off the grid. 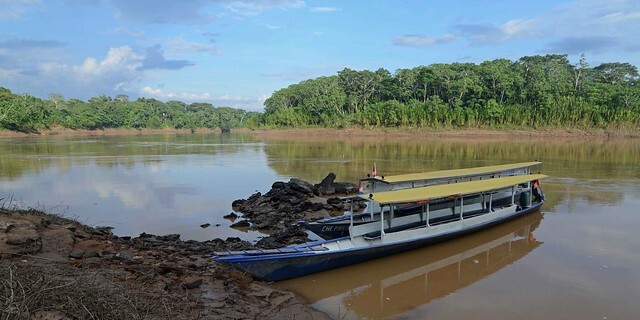 The first day and night will be spent at Refugio Amazonas, which requires a 2.5 hour boat ride to reach. Activities will include a night time search for caimans on the river and canopy tour. On the second day, I'll be board another boat to go a further 4.5 hours deeper into the Amazon. I'll be spending the next three days and nights at the Tambopata Research Center. This is where the chance of spotting wildlife is greatest. In the afternoon, there will be a hike, with the potential to see howler monkeys (which scared the heck out of me at night in the Belize jungle 6 years ago). In the evening, there will be a lecture on macaws. The Research Center is located 500 meters from the largest known macaw clay lick in the Amazon, so it has thus become an important destination for the scientists who study them. 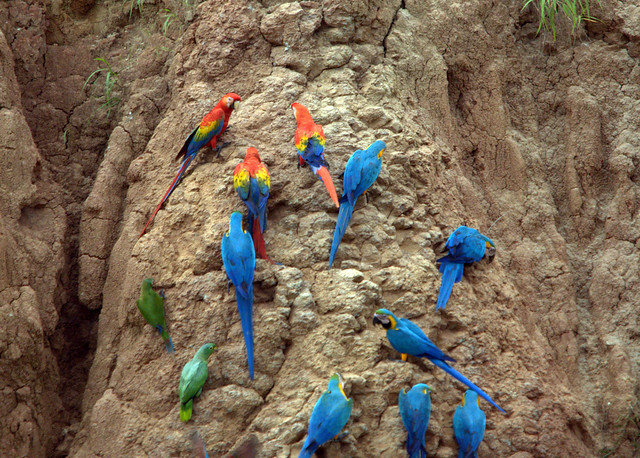 The third day starts with an early-morning visit to the Macaw Clay Lick, where dozens of macaws and hundreds of colorful parrots congregate daily. This clay lick is so important for research purposes, scientists have been visiting it for over 20 years. After breakfast, there will be another nature walk, followed by a visit to a local pond in the afternoon. In the evening, there's an optional night walk to try and catch a glimpse of mammals (jaguars!). This is when I expect to come face to face with my first tarantula in the wild. More nature walks around the Research Center, looking for tamarins and tapirs. I'll head back to Refugio Amazonas by boat, where the afternoon will be spent paddling around Oxbow Lake in search of otters. As the trip winds down, I'll leave the Amazon for Puerto Maldonado, where I've scheduled a few extra days before departing for Lima. You can view the detailed itinerary here. In a few weeks, as the departure draws near, I'll share my packing list specific to an Amazon trip of this nature. Have you been to the Peruvian Amazon, or the Amazon anywhere? If so, I want to hear about it in the Comments!